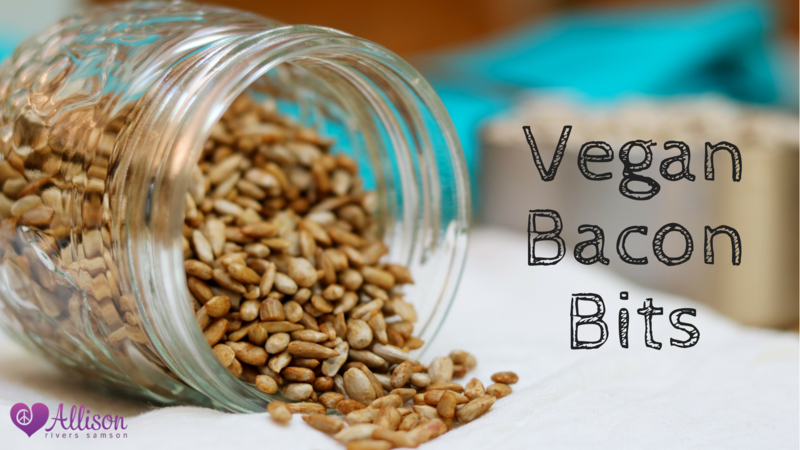 GET MY RECIPE FOR VEGAN BACON BITS! If you love the smoky, salty taste of bacon, but you're too kind to hurt a pig and/or too health-conscious to ingest all the saturated-fat and cholesterol, I got you! With just 3 ingredients, you'll have all the flavor you love with none of the hurt you don't. Fill in the fields below, click the purple button, and check your inbox for the recipe! NOTE: Be sure to add '@allisonriverssamson.com' to your safe-senders list.